Sam Darnold nearly pulled off another one. Six days after leading the New York Jets to the first fourth-quarter comeback victory of his young career, the rookie quarterback almost did it again - falling just shy in a 29-22 loss to the Houston Texans on Saturday night. Things looked promising after Darnold and the Jets (4-10) took their first lead of the game on Elijah McGuire's 2-yard touchdown run with just 5 minutes left. The No. 3 overall pick made plays with his arm and legs during the impressive 15-play, 73-yard go-ahead drive as he converted three third-down plays and a fourth-down opportunity. "He played a gritty ballgame," coach Todd Bowles said. "He played tough and made some throws." It set off a wild celebration by the Jets. But Deshaun Watson and the Texans - whose nine-game winning streak was snapped by Indianapolis last Sunday - weren't going down for the second straight game. Watson threw a 14-yard touchdown pass to DeAndre Hopkins with 2:15 left, lifting Houston to the victory. "We've just got to finish the game," Darnold said. A holding call on cornerback Morris Claiborne on third down prolonged the Texans' winning drive, and Watson completed passes of 20 and 3 yards to Demaryius Thomas and 7 yards to Hopkins to get to New York's 14. "This is how I feed my family," Claiborne said of the penalty call. "When you make calls like that, you mess that up for me." Watson then found Hopkins streaking down the left sideline and launched a pass that the receiver somehow came down with despite being tightly covered by Claiborne. "The holding call hurt us, obviously," Bowles said. "That got them down the field and the guy made a heck of a catch at the end. Mo had him covered great. He's a great receiver and he made a heck of a play." Darnold and the Jets had two more chances to pull off a stunner. On fourth-and-14 from the New York 21, Robby Anderson couldn't come down with Darnold's throw - and the Jets turned it over on downs. "It was just a little bit of bad judgment by me," Anderson said. "I came a little bit too much under it and it hit right off my fingertips." Moments later, Ka'imi Fairbairn's 40-yard field goal - his fifth kick of the game - made it 29-22 with 54 seconds left. Darnold and the offense came out again with 75 yards between them and a tying touchdown. But after two incompletions and a sack, Darnold faced a fourth-and-18. He threw a short pass to McGuire, who gained 16 yards - 2 short of a first down, sealing the game. "It's frustrating to lose the ballgame," Bowles said. "We could've finished it a bunch of different ways. Whether it's offense or defense, we didn't finish it. The penalties cost us at the end." Darnold's overall performance, however, was a glaring bright spot for the Jets - who have had few things to feel good about this season. He was 24 of 38 for 253 yards and touchdown passes to Anderson and Andre Roberts, and also ran six times for 35 yards in arguably his best game of the season. That would mark two straight solid outings for Darnold, who missed three games with a strained foot before returning against Buffalo last Sunday. "He's just comfortable," Bowles said. "He's just playing his game. He's not trying to be perfect. He's just trying to play football. He's just enjoying playing football. That comes with game by game, having success. "You sit out a while, you get to step back and you come back and you learn a little bit. It looks like he's learned quite a bit." Darnold's teammates are also noticing a more confident playmaking quarterback on the field. "He played phenomenal," safety Jamal Adams said. "He's a bad man and the future is bright for him." After the game, Texans star defensive end J.J. Watt found Darnold on the field and gave the young quarterback a hug. "You're going to be a great pro," Watt told him. 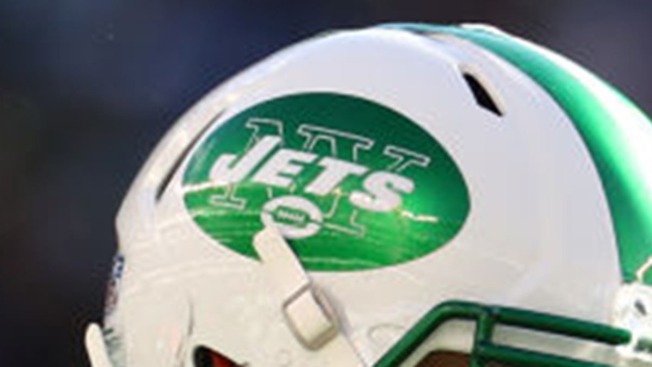 The overall outlook for the Jets appears uncertain with Bowles likely to be looking for a new job when the season ends, and general manager Mike Maccagnan not a lock to return. But one thing New York might be able to count on is the fact it has a young quarterback who is progressing each week. "Yeah, I mean, I feel comfortable getting experience and I feel like I'm seeing the field a lot better," Darnold said. "I feel like our whole offense is really starting to click a lot better, getting in and out. But, it comes down to wins and losses. We want to get out there and win the game. That's the whole point of playing, you want to win."